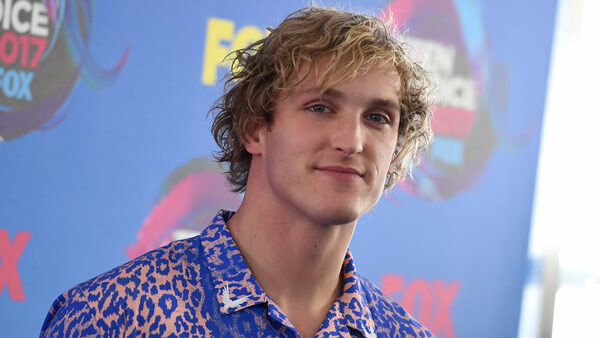 TOKYO -- American blogger Logan Paul apologized Tuesday after getting slammed for a video he shared on YouTube that appeared to show a body hanging in a Japanese forest known as a suicide spot. Paul, who has millions of Twitter followers and YouTube subscribers, posted an apology on his Twitter site , saying, "Where do I begin. Let's start with this. I'm sorry." Although the video has been taken down, segments were still online. Critics, who have also gone online, say what was offensive was Paul's giggling and joking about the body. The video shows Paul going on a trek with friends in the Aokigahara forest, near Mount Fuji. He seems aware that the site is sometimes chosen for suicides, but is surprised to come across what appears to be a body hanging from a tree. He said he had wanted to raise awareness about suicide and possibly save lives, and denied his goal was to drive clicks. Japan has a relatively high rate of suicides, with more than 21,000 a year, according to government data. Its per capita suicide rate is among the highest in the world. Many blame the high suicide rate on the value placed on conformity, excelling and hard work in the country. Suicide also does not suffer the religious stigma here it does in other cultures. Ritual suicide, known as seppuku or hara-kiri, has long been portrayed in movies and theater as an honorable way to take responsibility. The Mount Fuji forest has been known for suicides for decades because people can easily get lost there, and know they won't be found for a long time. Although Japan has many suicide-prevention groups, the culture of shame has family members of convicted criminals, people who have racked up massive debt and youngsters bullied at school often turning to suicide.